Our 100% nitrile rubber logo mats use state of the art technology to enable logos to be printed into the rubber at high resolution. 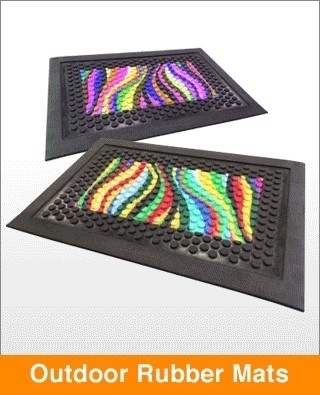 The mats are extremely durable and are designed to be placed in high traffic entrances both indoors and outdoors. The mats are high traction, non slip, resistant to oils, grease and chemicals.